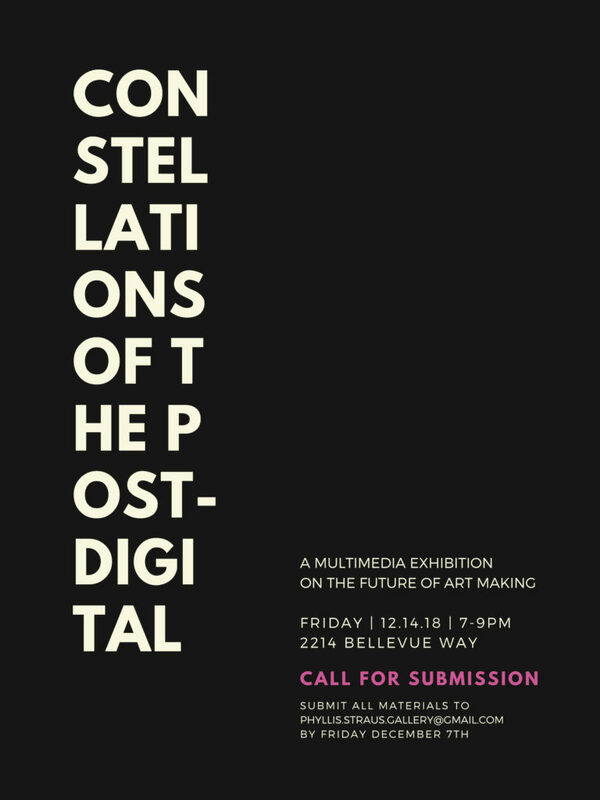 Constellations of the Post-Digital is a Multi-Media exhibition, at the Phyllis Straus Gallery, on the Future of Art Making. Please submit images and/or descriptions of your work with the following information: artist name, title, medium, and dimensions. All submissions should be emailed to phyllis.straus.gallery@gmail.com by Friday, December 7th, 11:59PM.